Seniors with Alzheimer’s or another form of dementia or cognitive impairment should not be allowed to take their medication on their own. The danger of missing a dose, confusing pills, or even overdosing is too high. 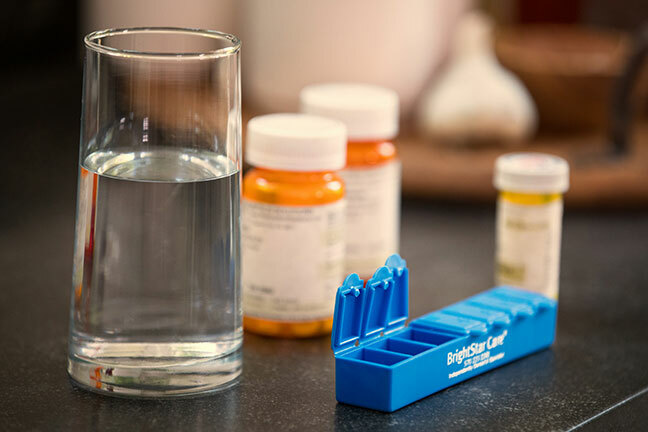 In these cases, an in-home caregiver or family member should oversee medication management. Also know that some medicines may create side effects that mimic cognitive impairment—another good reason to keep a list of medicines current.